Cur-OST SA Adapt & Calm uses clinically proven & research supported high potency Ashwaghanda extract to reduce the impact of stress and anxiety. Create Calmness For Your Dog And Reduce Anxiety Safely And Naturally! Benefits separation anxiety, storm phobias and aid to relax your pet during recovery periods. 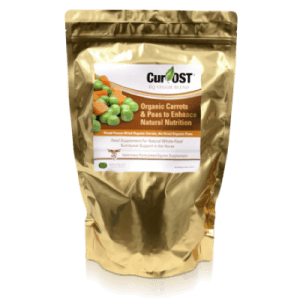 Cur-OST SA Adapt & Calm uses clinically proven & research supported high potency Ashwaghanda extract to reduce the impact of stress and anxiety. Beneficial for separation anxiety & storm phobia! 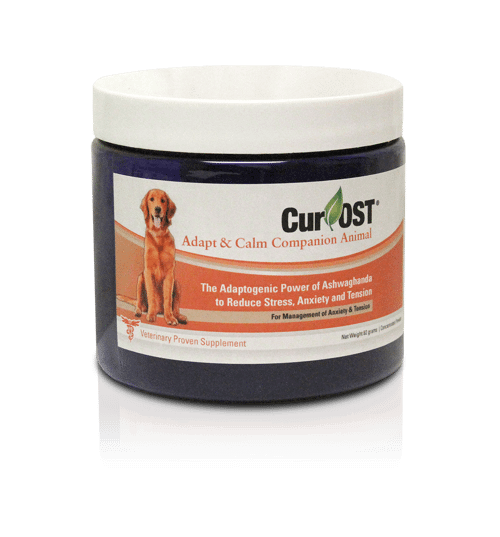 Our Cur-OST SA Adapt & Calm supplement helps your pet to respond to stress in a more healthy manner. Utilizing the adaptogenic power of Ashwaghanda in a concentrated, low dose formula. 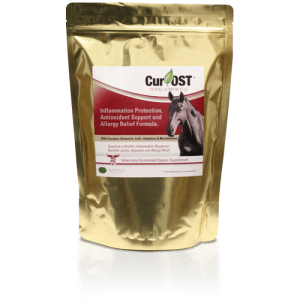 Aids in helping the body to adapt to the impact of stress, by naturally reducing cortisol levels and impact on health. Calms the body naturally without sedation, helping to create focus and mental clarity. Perfect for reducing stress associated with separation anxiety, night time restlessness or storm phobia. 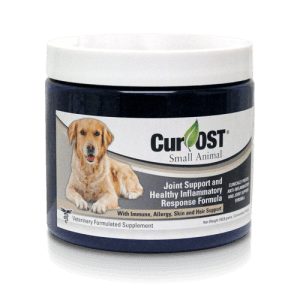 May be combined with any of our other Cur-OST formulas for pets! How does the SA Adapt & Calm formula work? The SA Adapt formula utilizes a single concentrated form of Ashwaghanda, which has demonstrated research and clinical benefits in reducing the clinical signs of anxiety, helping to settle nerve tension and even support healthy cortisol levels, which is often associated with stress. What effect should I see with continued use? In most cases, the SA Adapt & Calm helps to support relaxation and allow our pets to handle stress better, often allowing for a more restful sleep. It can be very beneficial for separation anxiety and symptoms associated with storm phobias. Is the SA Adapt & Calm formula safe to use with other supplements and medications? Yes, it is generally safe to use with other health supplements, but caution should be used with other concurrent anti-anxiety health supplements. It is advised to consult with your veterinarian for possible interactions with medications.